Even though the FAA just recently released their rules governing the commercial use of Unmanned Aerial Devices (UAVS), early adopters of drone technology have shown how UADs will change many surveying and engineering practices. 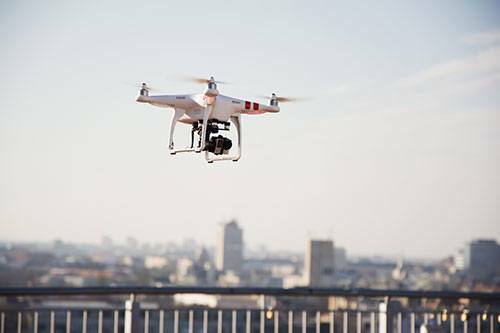 While the FAA is still releasing rules pertaining to civilian and commercial use of Unmanned Aerial Vehicles (UAVs), many pioneers in the use of this technology have already demonstrated how drones are likely to change practices in land surveying and various engineering disciplines. As the cost of UAVs continues to decrease, the devices are becoming more accessible to surveying companies and engineering firms of all sizes. How will using drones in design build practices disrupt and transform these professions? Reduction in the time and cost of land surveying projects: While manned aircraft took some of the legwork out of surveying work, the cost of chartering private planes made the practice cost prohibitive for many firms. Pioneers in the use of UAVs in land surveying report that drones allow surveyors access to remote locations in a fraction of the time it would take for a team to travel to the area. Additionally, as the cost of entry continues to fall, land surveyors report using drones cuts their overhead since less manpower is needed to complete their projects. Provides clients a safe way to see the progress on their construction projects: While it is understandable clients with large scale building projects want to see firsthand the progress made during construction, taking them on site not only has the potential to slow down work on the project, but also exposes them to the risk of injury. By using video camera equipped UAVs, project engineers and supervisors can provide clients a real time virtual tour of an expansive construction site without interrupting workers or exposing their clients to the hazards of a construction site. Increase safety and efficiency of road construction and traffic engineering projects while cutting costs: The U.S. Federal Highway Administration and the Georgia Department of Transportation provided funding to a research team at the School of Building and Construction at Georgia Tech to investigate the possible of benefits of different drone applications in road construction and traffic engineering. The published 2013 report outlining the results of this year and a half study described a variety of different uses of UAVs in road construction. For example, they found using drones improved the efficiency of traffic monitoring and traffic signaling programming, facilitated the monitoring of road projects, as well as well preliminary evidence of cost savings. Improvements in the accuracy of 3-modeling and mapping: One of the pioneers in the use of 3-D modeling in surveying and civil engineering, Tommy Tomsu, is now developing UAVs for construction site mapping. By taking photos of a project in real time, he reports he can improve 3-D models and maps of construction projects. Has your firm started to use UAVs in your projects? What was your experience? What risks are involved in using drones in design-build applications?